On November 28, 2012 Fitness Baron published an in-depth BioTrust Low Carb review analyzing the effects of protein supplements that do use protein derived from cows that receive artificial hormones for increased milk production. The review also discusses protein supplements that use artificial sweeteners and the implications from such ingredients. The goal of the BioTrust Low Carb review is to explain the pros and cons of this supplement while educating readers about protein supplements generally. Fitness Baron's BioTrust Low Carb review is based on Jon Dyer's actual use of this protein supplement. 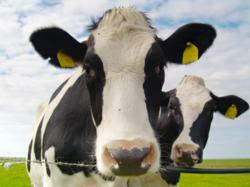 BioTrust Low Carb's protein is derived from cows that have not been given artificial hormones. Moreover, BioTrust Low Carb does not include artificial sweeteners nor artificial flavors. Fitness Baron's review examines whether these attributes are worth and whether it does result in a healthier protein supplement. Several ingredient claims made by BioTrust are examined in the Fitness Baron review to provide readers who are researching protein supplements the information with which to make an informed protein supplement buying decision. Protein supplements are expensive and so it's a considerable decision given that it's a recurring expense for many people who work out. Furthermore, the Fitness Baron review of the BioTrust Low Carb protein powder includes a cost analysis by calculating the cost per one gram of protein so that readers can compare the cost accurately with other protein supplements. That said, the review is careful to add that BioTrust is more expensive than many brands precisely because of the fact protein is derived from milk from cows that are hormone free. Read the full review at http://www.fitness-baron.com/biotrust-low-carb-review/. Fitness Baron is an online fitness resource covering muscle building, fat loss, yoga, supplements and workout equipment by publishing in-depth articles on these topics. Launched in mid-2012 it's quickly becoming a popular fitness website due to the in-depth coverage. Visit Fitness Baron at http://www.fitness-baron.com.